One of my goals as a stay-at-home mom is to make sure that my little one's day is fun, productive and purposeful. To accomplish this, I had to set a schedule that is most suitable for his temperament and personality. It was a challenge for me at first, particularly because we did not have a household helper since he was a year old until he was 2 years and 8 months. Attending to my toddler's needs while I juggle household, wife duties and my freelance work was something that I had to master over time. With much patience and determination, I started to "informally" teach Caleb about numbers, letters and phonics when he was a year and a half. We used books, educational DVDs and toys, but more importantly, we used common objects inside and outside of the house to supplement his learning experience. I am blessed that Caleb is a fast learner and has very good memory. He is hungry to learn new things which motivated me to continue teaching him. 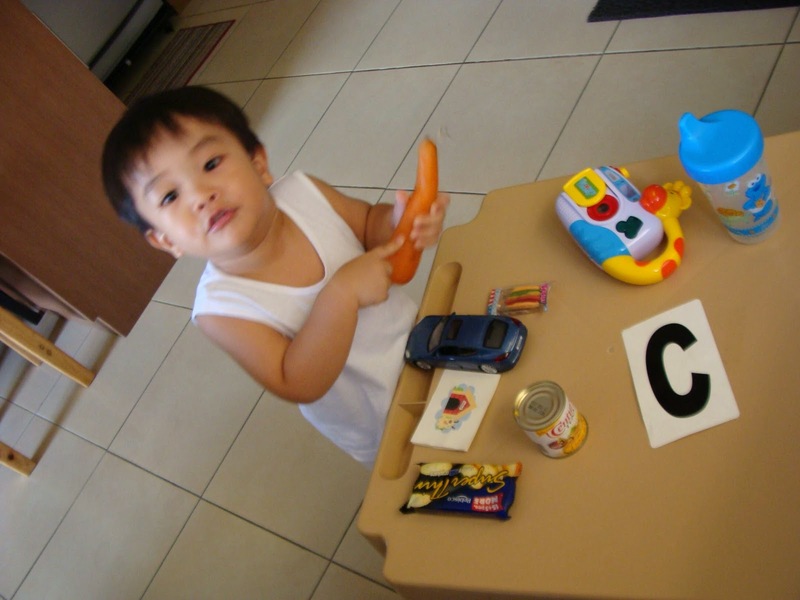 He mastered the letter sounds in just 1 and 4 months and his vocabulary was extensive for a child his age. But aside from numbers, shapes, colors and the alphabet, I also taught him to take on small responsibilities at home like throwing the trash, packing away his toys, keeping his shoes in the shoe cabinet, putting away his dirty clothes in the laundry basket, even cleaning up after his spills. When Caleb turned 2 years old, a friend suggested that I consider the homeschool program called "Little Hands To Heaven." I have to admit that I had my qualms about homeschooling. My main reservation was my ability to fulfill the responsibility of teaching my own child. I knew it was going to take a lot of time, patience and understanding. Nevertheless, I kept my heart open to God's leading and just prayed for my concerns. God revealed a lot to me during those times. First, He asked me to surrender my doubts and feeling of inadequacy. Second, God assured me that if I trust him, He will be the one to give me the ability, patience, creativity and wisdom I needed. Third, God dealt with my concerns on homeschooling. One major concern I had is until when I should homeschool. 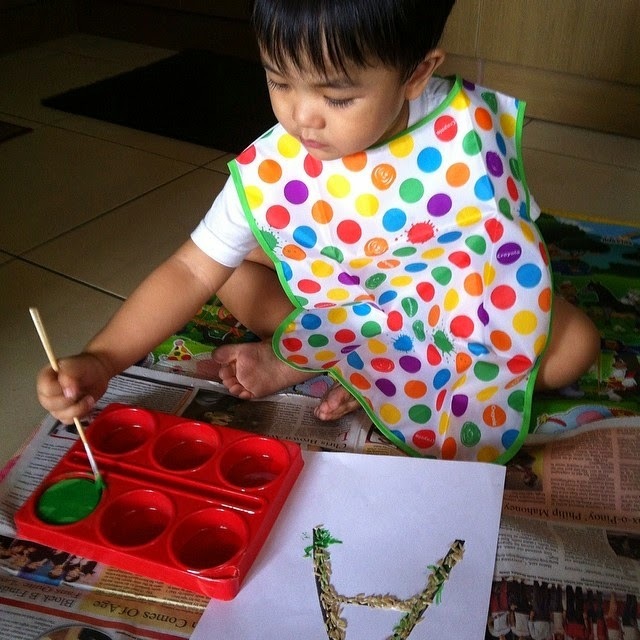 Should we just do this only for preschool and then send him to a traditional school when he turns 5 years old? God did not give me a definite answer, but he did impress upon my heart to take it one day at a time and just trust him in every step. Despite my apprehension, God's direction for me to homeschool Caleb was very clear. After doing my own research, I decided to buy the materials needed for the Little Hands To Heaven Program in our last visit to the US. We have been on the program for the past 6 months and so far, Caleb has learned and matured a lot since we started. What I liked best about the program is that it is both bible-based and educational. Caleb is learning about different characters and stories in the bible while applying them to practical lessons for values and character formation. I love how the program is able to integrate the basics of preschool like phonics, letter recognition, math and art skills through fun activities and projects that include dramatic play, active exploration and music time. On my part, I like how the program is made simple and easy to follow. The activities are already laid out for every session, but it also allows you to be flexible and creative. The lesson for the week is centered on a particular bible story or character and letter of the alphabet. It may seem repetitive, but this makes it easier for my preschooler to remember the lessons. For now, we are doing our "school time" three times a week and I take him to The Little Gym for his physical and social activity once a week. I think that he already got used to the habit so we can already try to do it five times a week when he turns 3 years old next month. I am glad that I took on the challenge to homeschool because nothing else gives me a greater sense of fulfillment than by taking an active part in the learning development of my child. Sometimes I still get overwhelmed by the thought of how more complicated it is going to get, especially when I give birth to our second child. But as God has impressed upon me, I just need to take it one day at a time and simply allow Him to empower and direct me.